Our practice materials are comprehensive and allow students to practice in all subjects for their grade level. We would recommend touring our Test Center and signing up for a free trial account. Please visit the following page for a video tour of our Test Center and materials. This tour will give you a good overview of our products and services. 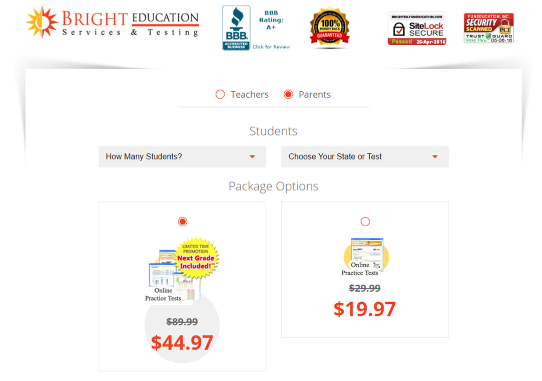 We offer classroom accounts for teachers interested in administering practice tests in the classroom. The teacher and administrator would have a "teachers version" of the account and can add students as well as track results. Each individual student has a student account to begin taking tests in the grade level assigned by the teacher.